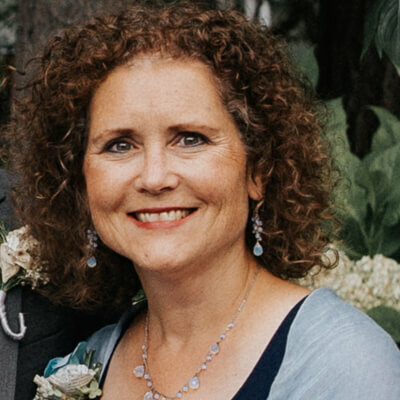 I watched a Tedx Talk recently during which Dr. Lara Boyd describes how neuroplasticity gives you the power to shape the brain you want. It turns out, a lot of what we know about the brain is incorrect. Growth doesn’t stop after childhood. Our brains change every time we learn a new fact or skill. All of our behaviors change our brain. That’s both sobering, and encouraging in so many ways. Click here to watch the talk—I think you will enjoy it. I love the fact that ABA therapy, which I thought had to happen when Zack was really young, is having such an impact on him now at the ripe old age of 20. How great is that? We can tell that new synapses are forming or connecting, or however it should be explained. It helps that we have a posse of people praying for this very thing. God is answering! 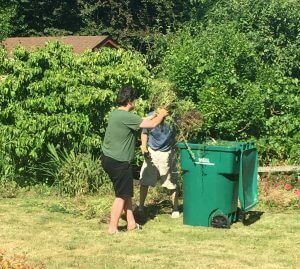 Zack helping Jay put weeds in the yard waste bin. Right now, the therapist is working on Zack memorizing my phone number, as well as identifying by name everyone in the family, strengthening fine motor skills, and growing in social skills. We are seeing all of this being generalized to other situations. Zack shucking corn with me. He independently initiated shaking the hands of three people at church last Sunday. 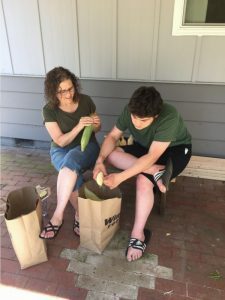 He shucked corn with me on the 4th of July—that is not easy to do, and he did it after my simply showing him how. 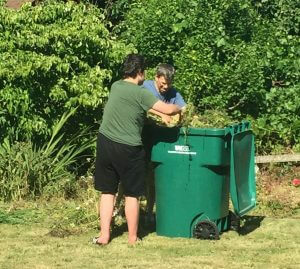 He has helped pick up weeds and put them in the yard waste bin twice now (the first time starting on his own initiative). He is following directions without needing them to be in two or three word phrases. All of these things are new for Zack. In addition, he continues to help empty the dishwasher, do his laundry, replace unwanted chewing items with a toy for Gaby, adjust the fan in our living room, and generally tidy up as he sees the need. This coming Monday, Zack and I will try volunteering at a center for women who are in recovery—we will help prep and serve dinner from 4:30-6:30. Please pray if you have the inkling, that it goes well. I would love for this to become a consistent volunteer opportunity. Such encouraging things happening! Prayers for today’s volunteer work. I think Zack will rock it! God bless. I know! 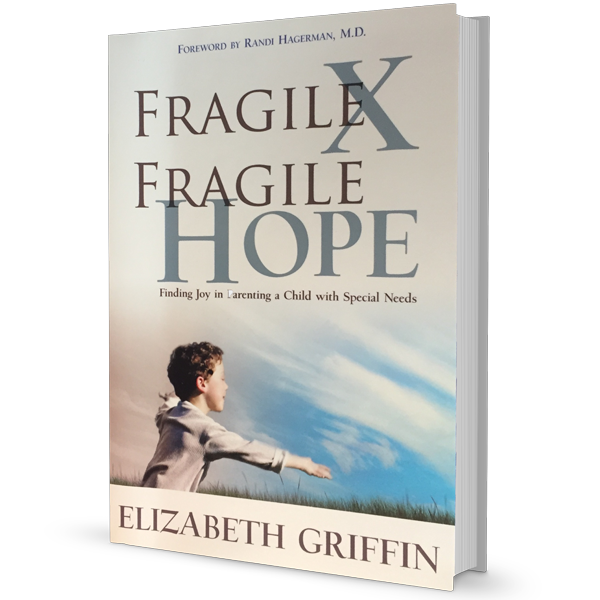 It’s so great to have hope — for all of us!